If any NFL teams are interested in Michael Vick, they’re not saying. A day after the quarterback was conditionally reinstated to the league, only the Baltimore Ravens would directly acknowledge evaluating him. “We’ve had long discussions about Michael Vick and we have a feeling about how he would impact our team and not impact our team,” coach John Harbaugh said Tuesday. General manager Ozzie Newsome declined comment. Previously, he has said the Ravens have enough quarterbacks. Other teams either refused comment or insisted they wouldn’t pick up the former Atlanta Falcons star, who served 18 months in federal prison for running a dogfighting ring and was released from home confinement on July 20. Commissioner Roger Goodell said Monday that Vick can immediately take part in preseason practices, workouts and meetings and can play in the final two preseason games – if he can find a team. Two clubs that might have seemed like a logical destination – the Miami Dolphins and Cincinnati Bengals – said they wouldn’t pursue Vick. Bengals owner Mike Brown refers to himself as “a redeemer” and is known for giving troubled players a second chance, or more. But Cincinnati has a full complement of quarterbacks, and starter Carson Palmer has fully recovered from an elbow injury that sidelined him for 12 games last season. The Dolphins rejuvenated their offense last season by mixing in the Wildcat, a variation of the single wing. The package featured direct long snaps to running back Ronnie Brown, who usually ran with the ball. The Wildcat would take advantage of Vick’s running ability, but the Dolphins drafted another running quarterback in April: West Virginia’s Pat White. They also have 2008 NFL Comeback Player of the Year Chad Pennington returning and promising Chad Henne as the No. 2 quarterback. Denver Broncos coach Josh McDaniels said “we’re not bringing him in right now,” but acknowledged the team is always weighing its options. The Broncos have uncertainty at quarterback after trading the disgruntled Jay Cutler. Kyle Orton is penciled in as the starter. One organization that wants Vick is the upstart UFL. The four-team league plans to kick off a six-game season in October. “I still think we are the best option for him,” UFL commissioner Michael Huyghue said. 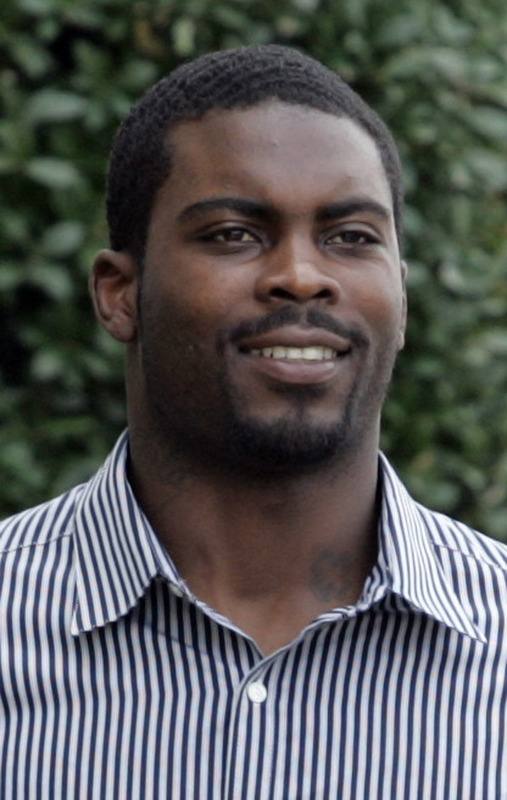 Huyghue suggested Vick could prove to NFL teams that he’s ready to return – on and off the field – during the UFL season. Buffalo Bills quarterback Trent Edwards figured Vick’s conditional status would leave general managers in a bind.